This is my first time to link up with Jessica for Confessional Thursday, so here are mine! + I need a haircut so badly, but I'm trying to hold out as long as I can before the baby arrives because I know it'll be a long while after he's born that I'll have some "me" time to go get one. So I'll probably be rocking a ponytail until about mid-April. Whoops. + And speaking of the baby, I have this fear he's actually a girl. We haven't had a sonogram since our 19-week gender ultrasound, and I'm terrified they're going to tell me in three weeks, "It's a girl!" (After I've already gotten things monogrammed and his room done…) Not that I'd have a problem with a daughter, but whoa -- talk about a surprise. + I'm so over the presidential primaries (on both sides) and want to gouge my eyes out every time news coverage comes on about it. Can we just get to Election Day in November and be done with it? + I have eaten far too much ice cream this pregnancy and don't feel bad about it in the least. + I hadn't really had any cravings thus far until recently, and it's all I can do to stay away from PB&J sandwiches and ice cold watermelon. I seriously want it all! + I got a sample of the Hourglass Veil Mineral Primer and am officially hooked. However, I can't justify the whole $52 for 1 oz. thing and instead found a really awesome dupe: NYX Angel Veil (on Amazon for a whole $15 because my CVS was sold out!) that works just as well. Thank you, NYX! + I don't care what fashion house in New York says they're "in," I just can't jump onboard the overalls bandwagon. Seriously, 1994 called and they want those (and round sunglasses) back. All I think of when I think of overalls are the Osh Kosh B'Gosh ones I donned when I was a kid and just…no. + I was made for sunny days. 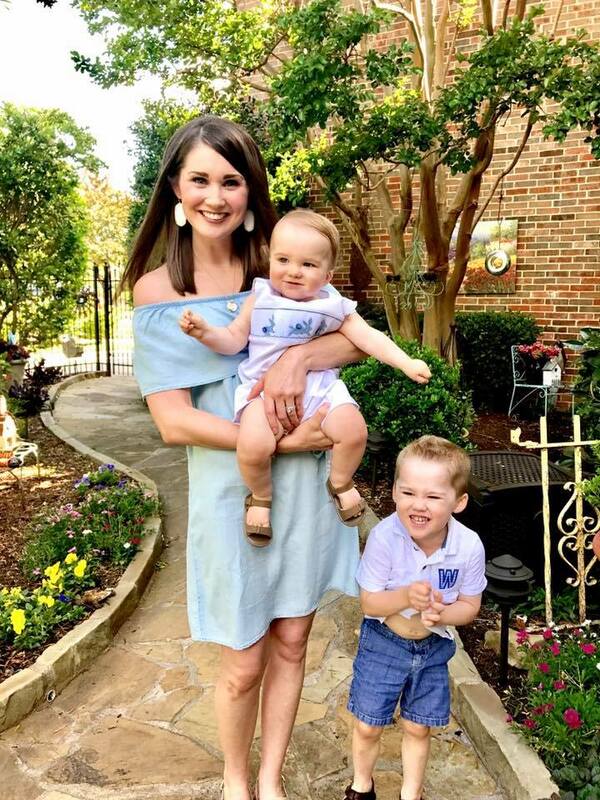 Yesterday it was pouring down rain outside and it took everything in me to not come home and sleep all day while Walker was at Mother's Day Out. I was so proud of myself for instead tackling my massive to-do list, but man, I feel so much more productive and alive when it's sunny outside. + I didn't think so many of you would resonate with Tuesday's post, but I can't tell you how thankful I am for the sweet comments and emails I received from this blogging community on Tuesday. As much as I hate that we have significant others who are gone from us from time to time traveling on business, I'm thankful that there are so many of you who understand what we're going through! So what about y'all? What are you confessing on this Thursday?! 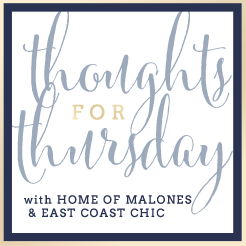 *Also linking up with Annie and Natalie for "Thoughts for Thursday"
Gimme all the sunshine!!!!! Rainy days definitely make me want to curl up and sleep, too. I've never colored my hair either, and I have waaaay more gray hairs than a normal 28 year old. I usually just pull them out - whoops! I feel the same way about overalls. Just. whyyyy? They are so not cute but see to be here to stay!! I am a natural redhead and coloring my hair is actually a fear, I have no clue what I'll do when it starts going white. So I love overalls on my girls and forced my 7 year old to wear a pair to match her sisters. But really anyone older than 7, its just a no. I completely agree that I am over the presidential primaries on all sides. OVER IT! Happy Thursday! Completely agree with the overalls trend! No thank you. And we've been having glorious thunderstorms at night and I love them for snuggling up under the covers, but you're right - it's hard to get motivated if I am trying to be productive! I have never thought about clean sheets every day, but seriously..could you imagine!? I would LOVE that! I hate making my bed period sooo clean sheets daily? that will never happen in my life as is. But rich life? Yes please! Maybe try henna for the hair instead of dying it? I have friends that use that. I love having clean sheets, I do them every week. I love clean sheets but don't like putting them on the bed. So much work. I too ate a lot of ice cream during my pregnancy and I am not a sweets or dessert person, but I loved it then. I've actually got random white strands throughout my hair - and those are the ones I can actually see!! I am so with you about this election, I don't spend much time on fb anymore because that's all I see. I really don't get the appeal of overalls again! I'll put them on little kids, but other than that - nope!! And rainy days are the worst... so unproductive and dragging! Overalls can be adorable....on KIDS!! I don't see how it's a trend right now for adults, though! And I'm with ya on the clean sheets thing, I've always said if I ever become very wealthy, I would have a housekeeper put fresh sheets on the bed daily! Don't feel bad about gray hairs, the few random ones I have are white, which is worse I think. Thankfully blonde covers it pretty well so most people would never know but I still know it's there and it drives me nuts.